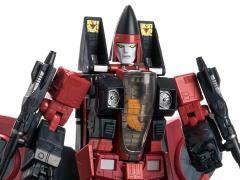 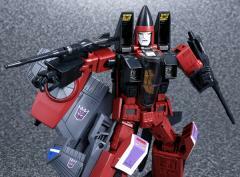 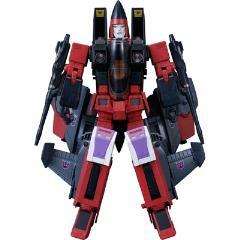 Thrust, one of the original 'coneheads', has joined Takara's Masterpiece lineup! 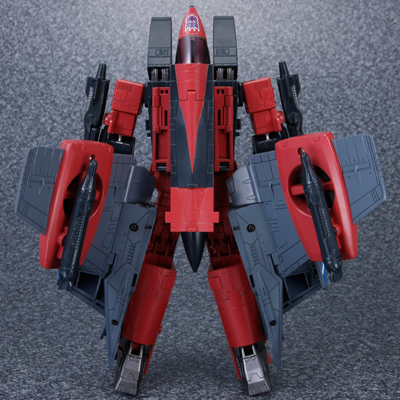 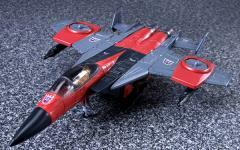 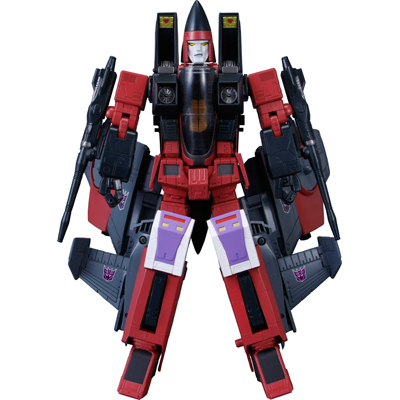 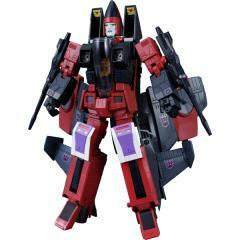 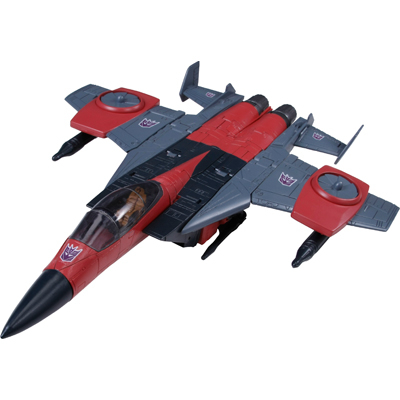 MP-11NT Masterpiece Thrust features the G1 design from the animated television series, multiple points of articulation, and transforms into a fighter jet. 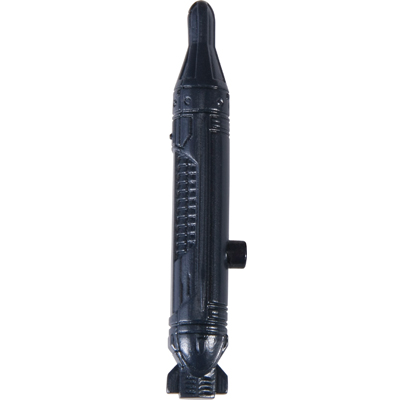 In jet mode, the cockpit opens and can fit the hologram pilot figure inside. His wings feature vertical rise fans and anti-aircraft missiles! Thrust features the signature 'conehead' look when in robot mode due to the position of the nosecone behind his head. A character card and instructions are included. 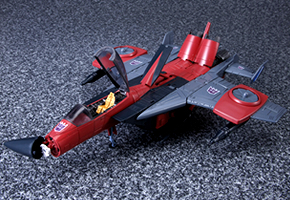 In jet mode, the cockpit and nose cone can open and fit the pilot figure!